AFB is seeking an experienced professional to serve as its Database Manager. The successful candidate will be responsible for managing data and data integrity in the database of record NetSuite for the Resource Development department, and across the organization to ensure data can be accessed and used by various stakeholders. Core functions include updating and maintaining business rules for data input and integration, prioritizing analysis and reporting and generating fundraising reports for Director of Development, Chief Community Engagement Officer and Board of Trustees. With a goal of capturing all unit and donor level data and optimizing donor sourced revenue, the Database Manager will play a critical operational and relationship role and support development operations, and communications. This position reports to AFB’s Director of Development. This is a national search, with a preference for the successful candidate to work out of AFB’s Arlington, VA, Huntington, WV or New York, NY locations; other locations will be considered. 1. Provide project management and IT expertise in support of organizational goals and database management for Resource Development. 2. Assess current state of the database and provide recommendations on how best to develop a project plan to address problems, implement solutions and move the project forward. 3. Ensure data integrity for the Community Engagement department, with a special emphasis on donor data. Ensures initiatives align with organizational data-related objectives. 4. Work with the Chief Community Engagement Officer to ensure data integrity and management of key relationships contacts in NetSuite. 5. Integrate data systems with a goal of capturing all organizational data in the database of record including data syncs between email communication systems, advocacy platforms, meetings, grant management, resource development, finance, etc. 6. Improve business rules and processes for data management and inputs for all record types. 7. Work with the DoD and Direct Response Manager, internal and external stakeholders, direct response consultants, and caging vendor to prioritize and deliver analytics and reporting needs. 8. Serve as main point of contact for database CRM and Community Engagement team members, and provides training and support for other team members. 9. Represent AFB in Users Group Forums. 10. Perform other duties and carry out special projects as assigned. Experience with NetSuite is required. Experience with SuiteScript is required. Experience with data migration to/from NetSuite, and other software overlays. Experience with national organizations with 100K+ records database. Professional demeanor and effective interpersonal and verbal/written communication skills. Ability to lead teams in a collaborative effort to project completion. Proven ability to prioritize, execute, and delegate project tasks; conform to shifting priorities; and mentor co-workers as appropriate. Ability to build support for projects from decision makers where needed/appropriate. NetSuite certification preferred but not required. Work is performed in a professional office environment or may be performed remotely; general office hours are 8:30 AM – 4:30PM local time. Incumbents routinely uses standard office equipment including computers, phones, etc. This is a largely sedentary role. Routine activities and special events may require the ability to lift files, packages and related materials weighing up to 20 lbs. and to bend or stand as necessary. Position requires ≤ 10% travel domestically. AFP DC Career Center is Just One of the Benefits. 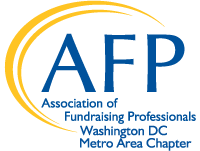 Discover what else AFP/DC has to offer! The job you are trying to reach from was originally posted at AFP DC Career Center.